Hello lovelies! My name is Rebecca and I blog over on rebeccaalicee.blogspot.co.uk. 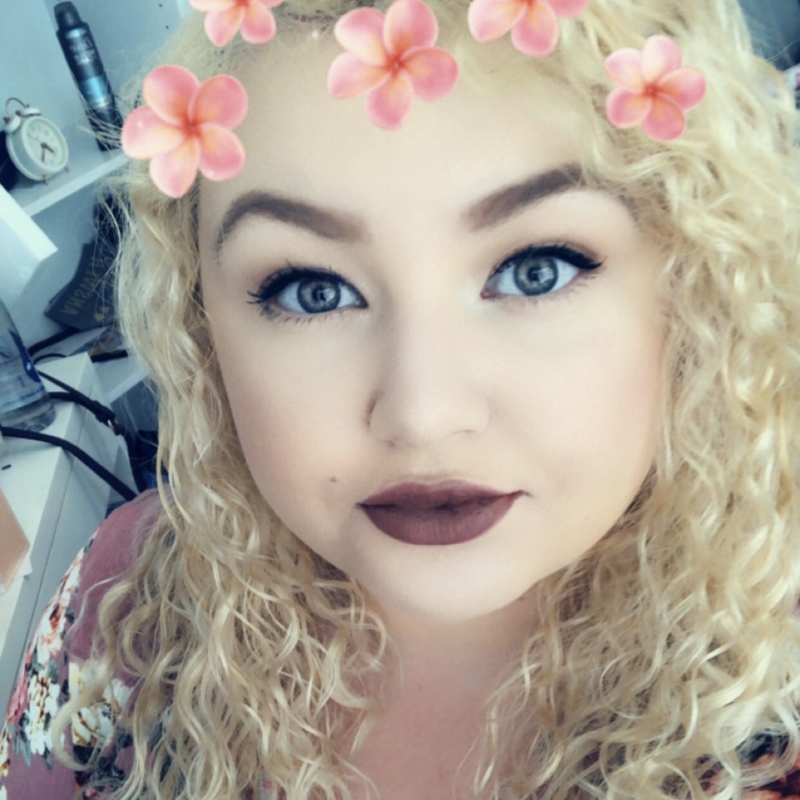 I’m a new blogger, writing about all sorts including fashion, book reviews and general student ramblings! The lovely Laura has very kindly allowed me to write a guest post for her, so here it is! Recently, I’ve discovered a love for 1950’s fashion. I needed a dress for my University summer ball, and being a more ‘curvy’ girl (at a reasonable size 14!) my Mum suggested that 1950’s style would be very flattering on me. I started browsing the internet and found Lady Vintage. Lady V London was founded in 2011 and manufactures vintage style dresses and skirts in sizes 8-28. Brilliant, I thought! These are going to be perfect. 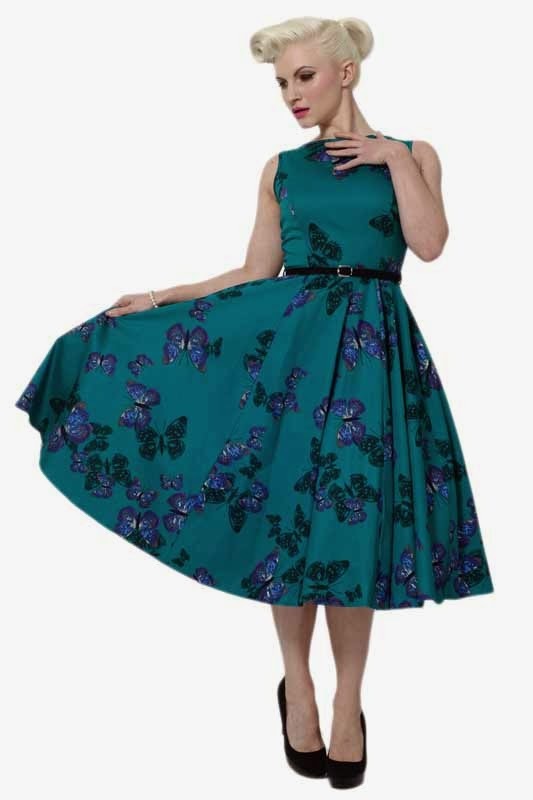 I began browsing the dresses and decided on the Teal Green Butterfly Hepburn Dress. At a reasonable £50, the quality and fit of the dress is absolutely perfect! It comes with a detachable black velvet belt and styled with a petticoat (which they also sell) and a pair of black ankle strap heels, this dress is perfect for summer weddings or parties. There are a few other items on the website that I really liked and I thought I’d show you. The White and Black Polka Dot Wiggle Dress is such a classic piece and could easily be worn to the office or for an evening out. It’s a brand new dress to Lady V London and is a fantastic figure hugging pencil skirt design. The shape is flattering on any size and it comes in a variety of colour and for only £35, it’s a real bargain! Lastly, Lady V has introduced a new skirts range and I must say, I love them even more than the dresses! 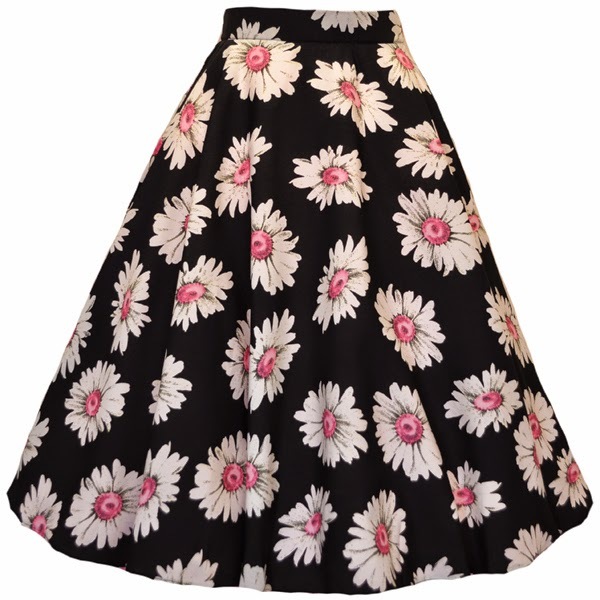 This is the Vintage Pink Daisy Swing Skirt and it’s just perfect. The style is vintage yet on trend for now and would be perfect for everyday wear, or jazzed up for a night out. I adore vintage clothing and want to spread the knowledge of how it can suit everyone! Lady V London have fast delivery and perfect customer service. The quality of the clothes is amazing and everyone should consider buying from them.